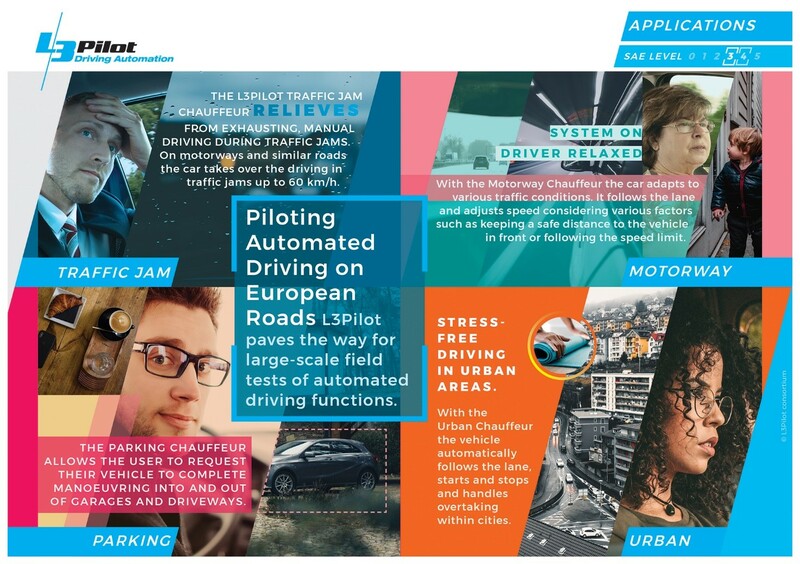 On 2-3 April 2019, the second European Conference on Connected and Automated Driving (EUCAD 2019) took place. The message of the conference was: Europe takes the lead. Policy makers, high-level representatives of industry, road authorities, researchers and innovators discussed challenges and opportunities related to connected and automated mobility. This important event was supported by EUCAR by sharing and showcasing the latest news from connected and automated driving research projects. Ms Carla Gohin, Senior Vice President Research and Innovation PSA Groupe and EUCAR Troika Member, highlighted in the opening panel the need to find a good way for collaboration between OEMs, addressing safety critical scenarios to implement CAD for society. Five EUCAR projects (ADAS&ME, L3Pilot, ENSEMBLE, 5GCroCo and 5G-CARMEN) provided insights and tangible evidence in research and innovation projects relevant for the automotive industry. From the L3Pilot project, Volkswagen, Renault and Toyota showed five fully equipped test vehicles. On the second conference day, Aria Etemad, Volkswagen AG and L3Pilot project coordinator, discussed key aspects for large-scale testing of connected and automated vehicles, and the experiences and challenges regarding data handling.